Sealing natural stone is a great way to protect it from the outdoor elements and enhance its inherent beauty, too. However, each type of natural stone features a unique set of characteristics that will ultimately determine the effectiveness of sealing. Before applying sealer to your natural stone project, here are a few things you should know. Sealing a natural stone patio, pathway, or driveway will not only improve the overall aesthetic, but also protect against staining and damage from de-icing salts and acid rain. Sealing may also help minimize the effects of efflorescence in the mortar joint or setting bed, freeze/thaw cycles, and spawling. What is the biggest challenge to sealing natural stone? Due to varying characteristics like density, porosity, permeability, and absorption, there isn’t a one-size-fits-all approach to sealing natural stone. Depending on the type of stone you’re working with, the absorption of the sealer will differ from one material to the next. This will have a direct impact on your coverage rate, color enhancement achieved, and the longevity of the sealer. 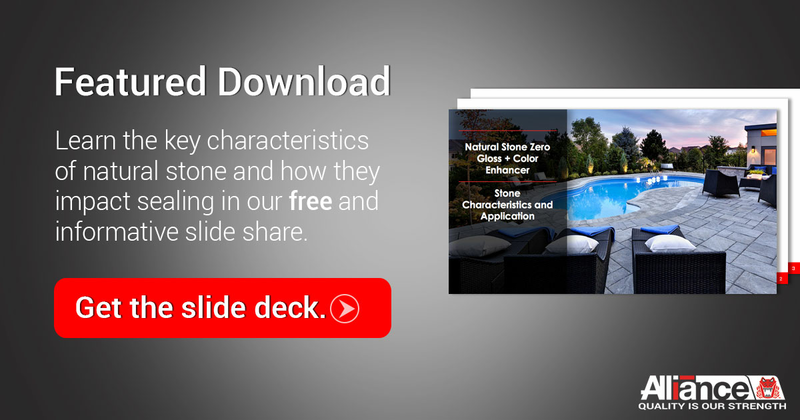 For more details on the various traits of natural stone, be sure to read our blog post, Learn the 4 Characteristics of Stone in 4 Minutes. What type of sealer should be used? Because natural stone is porous, a penetrating (non-film-forming) sealer should be used. A penetrating sealer will work its way deep into the pores of the stone, blocking the capillary pathways within. Penetrating sealers are more breathable, water repellant, and also very easy to clean. How does the sealer get applied? First, clean the natural stone surface with an efflorescence cleaner. Wait for the stone to dry. The ideal surface temperature for sealing is typically between 40-85 degrees. It’s important to note the “surface” temperature is usually different from “air” temperature. For example, it may be 85 degrees in the air but the stone could be 100 degrees or more! Make sure there is no rain forecasted for 24 hours. Work in small sections at a time (i.e. 60 square feet) and apply a coat of sealer using a solvent-resistant pump-sprayer. Use a foam roller or squeegee to remove excess sealer from the surface. Allow the sealer to penetrate for 5-10 minutes. Wipe and remove any excess sealer with a clean, dry, lint-free cotton cloth. Any other sealing tips or tricks? 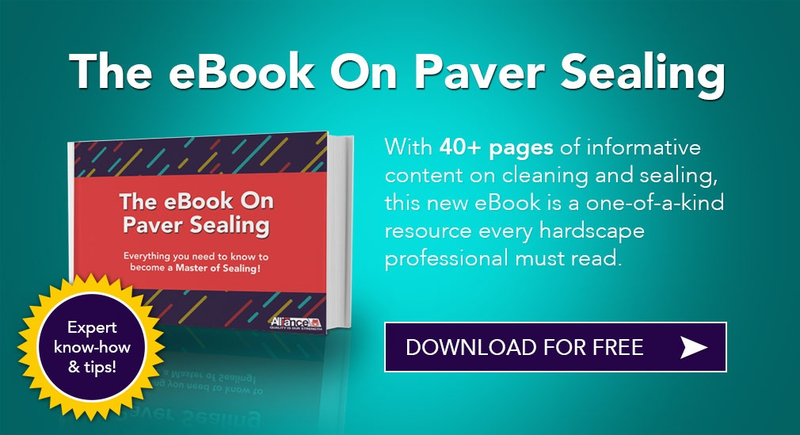 Here are a few more insights to help you get your sealing job done right! Use a sprayer with a .5 GPM tip or smaller. Spray a light coat to minimize puddling. Depending on the type of natural stone, the coverage of the sealer will vary. A lower absorption stone (i.e. granite or travertine) means a higher coverage rate (and reduced color enhancement). A higher absorption stone (i.e. limestone or sandstone) will require more sealer to get the job done. Backroll immediately. A roller will work on all surfaces while a foam squeegee is best suited for smooth surfaces. By knowing the characteristics of the stone that you are sealing and following the manufacturer’s instructions, you’ll be well on your way to a profitable project that looks great! There are several nuances when it comes to sealing natural stone. Read all about them here!